It has been another crazy busy week, with so much stuff happening. Today is the first time in what seems like ages where I've had time to actually just sit down and chill a little. I took a trip to the secluded venue of Badger Cove over the Easter weekend to see what it was all about. I had actually been up there a few times before, many moons ago, with my Dad on various camping trips that we used to take together. But I wasn't able to remember much as we're talking somewhere around 15 years ago, so it was slightly surreal to be back and see the crag in a whole new light. The cove itself sits high up on the valley side with a full on view of the impressive prehistoric Thirst House Cave. The dale feels like it has long been forgotten by the general public, who instead opt for the more well known destinations such as Chee Dale and Millers Dale. However it is a super nice setting and made a change climbing away from the hustle and bustle of the usual spots. In recent years Badger Cove has become the home to a small collection of some of the hardest boulder problems in the Peak. This has all been down to the dedication and hard work of Dan Varian. 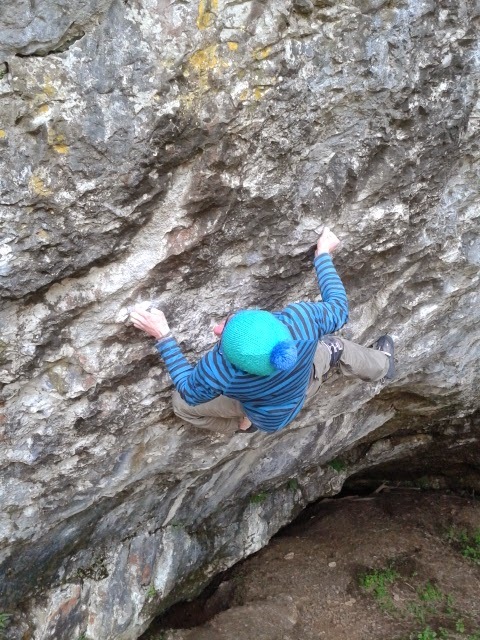 His problems Dandelion Mind and Bewilderness, both given V14, sit side by side and climb through some incredibly steep and hard terrain on immaculate rock. Check out the video below of Dan's quest in making the FA! It was Dandelion that interested me the most so we met up with a friend who was currently trying the problem and he quickly walked us through all the beta. It is a very basic, short boulder. You could almost describe it as a typical 'board' style problem. 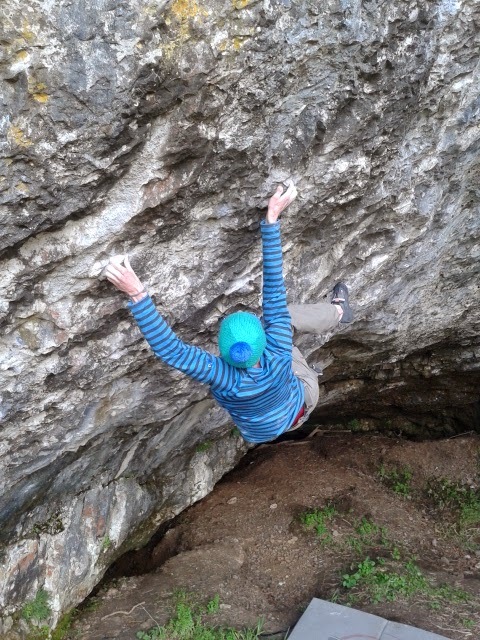 The crux involves a hard deadpoint slap to a small but fairly positive side-pull before another big lunge left again to a decent sized sloper. Feeling pretty wasted I didn't make any further progress that day and left with a smile on my face and stoked to return ASAP! First though a couple days off was needed. I found myself back down here after just the one rest day. I had taken Sam down to show him the layout and figured on giving the thing a quick try. Mason and James arrived not long after us and the psyche started to build. The next thing I knew I was power screaming my way through those final moves, up to the glory jugs! Again, another crazy feeling that is hard to describe other than just sheer unbelief. Having a bunch of mates behind me, shouting encouragement was a massive help and I do feel that was a BIG factor in me maybe trying that little bit harder and giving it that extra couple of percent on the final moves.